3 FREE Murad Acne Samples! With summer here we all want to look our best. 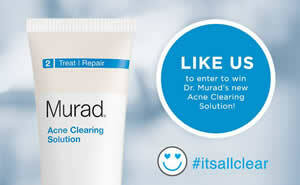 If you are interested in trying Murad's Acne solution now is the time. Just fill out the form to get 3 FREE Murad Acne Clearing Solution Samples.